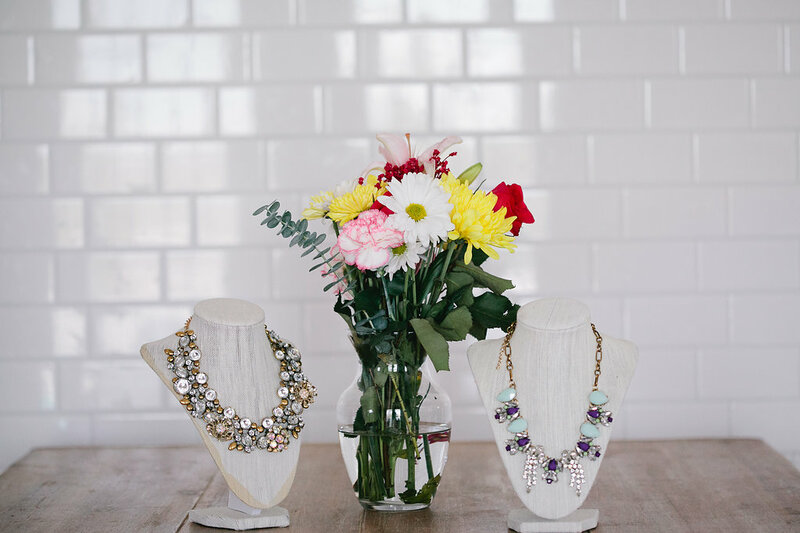 Janes, as part of our Spotlight Jane series, we are ridiculously excited to share with you our interview with Stacy Hayden, co-founder of CS Gems in the greater St. Louis area! You all know that Unchained Jane is in the business of bringing you news of badass women doing amazing things. 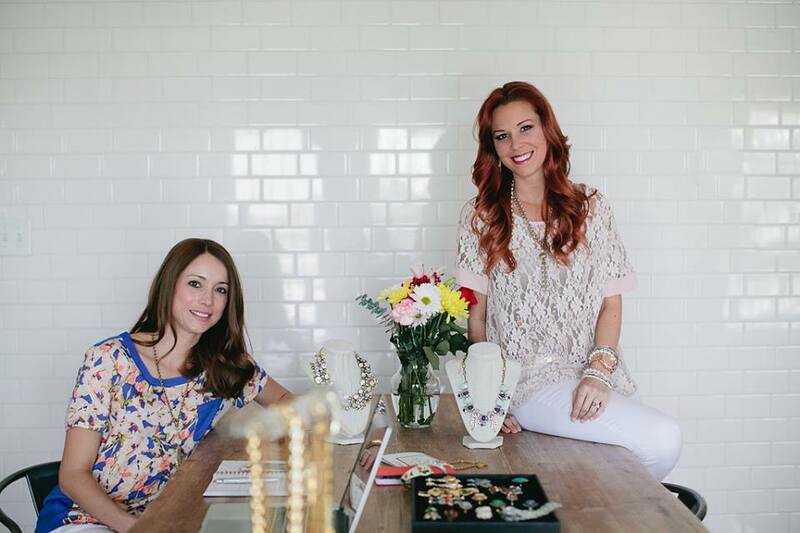 Well, not only is Stacy a fellow Jane like you, but she and her business partner, Carrie Andreas, have crafted an amazing female-owned jewelry business from the ground up - all while pulling some serious "mom duty" and doing a little thing we like to call rocking out. First, tell us a little about the two of you! What’s a typical day in the life of a mother/wife/businesswoman? There really is no typical day for us! As business owners, we really have become the master of all trades. Each day is different depending on what we have going on. We could be taking and editing pictures, writing blog posts, filling orders, collaborating on projects or working on creating new statement pieces. Other days, we are volunteering at our children’s schools or doing chores around the house. We both have children in school so we get most of our work done in the mornings. We love the fact that our days are never the same! Please tell our followers a little about CS Gems the products and pieces you offer. CS Gems is an online vintage jewelry boutique founded in 2013. We search high and low at flea markets, estate sales, yard sales and online auctions to handpick beautiful vintage jewelry. We then clean and repair the jewelry and sell it or we repurpose certain pieces to create new statement pieces. We rarely find the same piece twice and love offering unique, timeless pieces to our customers. Do you have a background in fashion design? Where did your interest in jewelry design originally stem from? How do you ensure that you can balance your personal life with running your own business? Is it chaotic at all or have you reached an equilibrium at this point? We have reached equilibrium while our kids are in school – ha! We always try to get our work done while our children are at school. Our children are very involved in sports and extra circular activities so we always make our families commitments a priority. Yes, there are times when we have events in the evenings or weekends, however, we do try to schedule most events for weekdays. Taking the leap into business can be thrilling and scary. Describe the pivotal moment that you decided to turn CS Gems into a legit business. We started our business in the summer of 2013 from an idea we had while on a playdate with our children. We knew that we wanted to combine social media and shopping – two of our favorite things. Neither of us have a background in marketing or business, so we knew going in that we would have a lot to learn. We decided that at first we would showcase our pieces to our close friends and get their feedback. We received positive feedback from our friends so from there we decided to have a flash sale on Facebook, offering around 100 vintage pieces of jewelry for sale. We told ourselves that if this first sale went over well, then we would move ahead at full force with starting our business. In that first sale, we sold almost 90% of our inventory. After that sale we felt confident in moving forward. What were the first few real steps that you toward creating the business (besides deciding to just go for it)? The business plan? The logo? The inventory? Give us the rundown. One of our first real steps was finding inventory. We went to several flea markets and estate sales so we could get a feel of the types of pieces that were available and at what price we could get them for. Once we knew what was available and set our price point we then began to do our research – finding our target audience, studying our competitors and putting together our business plan. What’s been the scariest part of running your own business? What’s been the most rewarding part of running your business? The flexibility. As we stated above, we love that our days are never the same. If we need to take a couple days off for a family commitment, we know that we have the flexibility to do that. What’s been the most difficult hurdle to overcome and how did you resolve it? Finding your perfect customer. You can have many fans on your social media outlets, however, that does not mean that those fans are paying customers. We really try to build a relationship with our fans and show them parts of our personal life so that a trust is built and they feel comfortable before purchasing our products. Have you had any tough days while getting CS Gems off the ground? How do you persevere? Owning your own business has many highs and lows. One of the reasons we always push through the lows is because we know another high will come soon. Sometimes it’s difficult to figure out how to start and how to grow. Which were the most valuable resources you’ve been able to tap to get CS Gems up and running and to keep it growing? These days anything you want to know is at your fingertips. The hardest part is making the decision and going for it - from there the rest will evolve if you want it enough. We can’t tell you how many webinars we have attended, articles we have read and help lines we have sat on for hours. Neither one of us came from a fashion or business background. We have self-taught ourselves everything and believe that everyone has that same opportunity. 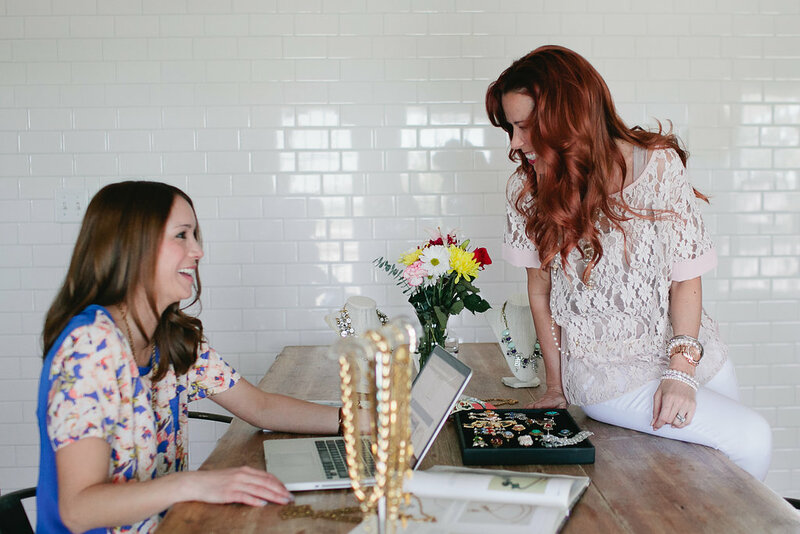 The vast majority of Unchained Jane subscribers are women – what do you think is the most valuable advice you could give them if they are thinking of starting their own business? CS Gems has been growing pretty rapidly and the pieces are gorgeous. Where can folks browse and purchase these one-of-a-kind jewelry pieces? We are big on women supporting women around here. Any shout-outs you want to give to any women that have helped you along the way? We have met many incredible women entrepreneurs at networking events. We would like to give a shout-out to a couple of those women that we have been collaborating with and love working with – Brooke and Missy from The Clothes Line Boutique and Laura from The Fashion Lane Truck. Where can our Janes learn more about CS Gems and where can they find you on social media? Stacy, thanks so much for giving us a peek into what it’s like to start and grow your own female-run business! We genuinely love the idea of more women starting their own businesses and helping each other grow – and we very much appreciate CS Gems being a part of that process. Now, it's your turn, Janes! Step 1: Visit the CS Gems website and support these badass ladies! (I already walked the walk because the pieces AND the price points are A-MAZING.) Step 2: Figure out what kind of business you want to take a shot at - and then take the shot! Step 3: As per usual, rule the world.